Expect the media to thoroughly investigate the Mormon religion and tie Presidential candidate Mitt Romney to its more controversial aspects in the coming months. David Gregory of Face the Nation started off yesterday with some brief questions. In a rare appearance on NBC’s “Meet the Press” on Sunday, Republican presidential candidate Mitt Romney took on a personal issue that has resisted talking about in the past: his religion. Host David Gregory asked the GOP presidential hopeful what he thought a successful run this fall would mean to Mormons in America. Romney emphasized the importance of the ethical foundations his religion had taught him. In 2008, the media failed to ask a similar question of Barack Obama. 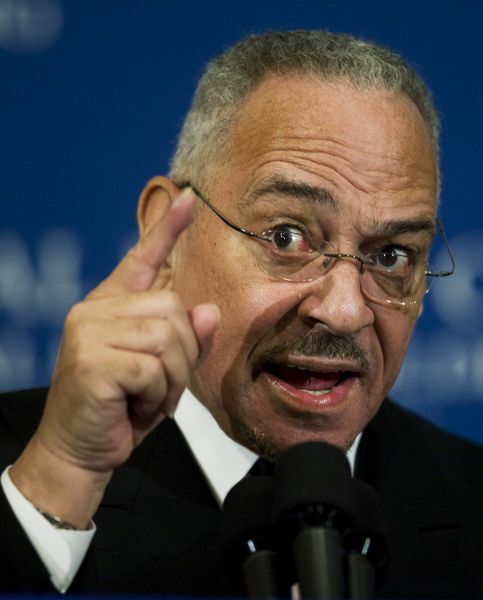 A question along the lines of, “What do you think a successful run this fall would mean to your pastor Jeremiah Wright”? As a public service reminder (because that’s what we do), here is a little smattering of the President’s religion and pastor which was all but ignored as he ran for office. If the mainstream media wants to analyze religion, it should be done so for each of the candidates. Wright was Obama’s spiritual mentor for over twenty years, so please, let’s discuss start talking about this. Next post Smartest President Ever: Three Words - "Made in the USA"